Defense, as the old saying goes, wins championships and the New York Giants have certainly improved in that regard this season. The Giants, only four weeks into the season, have shown early signs of snapping a four-year playoff drought. It’s no secret the Giants had to improve its defense after finishing last in the NFL in total yards and passing yards allowed in 2015. The team made a huge splash in free agency in the off-season, signing defensive end Olivier Vernon, cornerback Janoris Jenkins and defensive tackle Damon Harrison. The moves have paid early dividends for the Giants, who have improved their defensive ranking from 24th in the league to 11th after four weeks of action. New York’s stingy run defense is currently ranked ninth in the NFL. 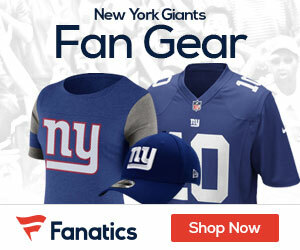 “We went into free agency hoping to find help to improve our defense,” Giants general manager Jerry Reese told the team’s official website. The race for first in the NFC East will come down to three teams — the Giants, Cowboys and Eagles. The Dallas Cowboys, despite suffering a setback with the loss of oft-injured quarterback Tony Romo and star wide receiver Dez Bryant, have stayed in the race early on but will fade as the season progresses. The Washington Redskins lack the offensive weapons to keep pace with their division rivals. Bovada have set a +220 line the Giants will come out on top in the NFC East, with only the Eagles (+200) having a better shot. This is a bet you should jump all over. The Giants are 1-1 against division opponents so far this season and look forward to two crucial matchups against the Eagles on Nov. 6 and Dec. 22. The games will have huge playoff implications and probably determine which team wins the NFC East. 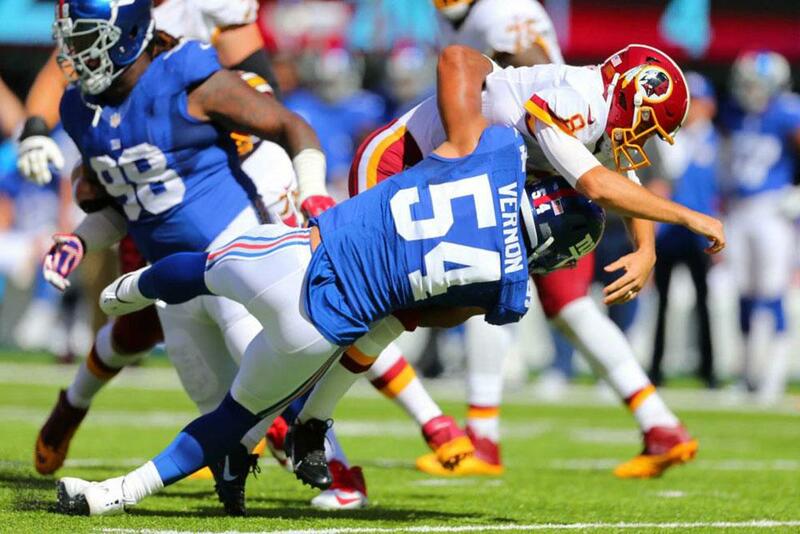 The Giants won’t have to rely solely on its defense to win games either. Not when you have arguably the best wide receiver in the league and human highlight reel Odell Beckham Jr. leading the charge. If he can keep his testy temperament in check, Beckham Jr. has the ability to take the Giants to the promise land. We’re all getting used to the Eli Manning/Beckham connection, evinced further by the Giants’ fourth-ranked passing yards. Bet365.com have a +5000 line that Beckham Jr. will be named most valuable player, a bet to consider if the star wide receiver can channel his sometimes misplaced passion. 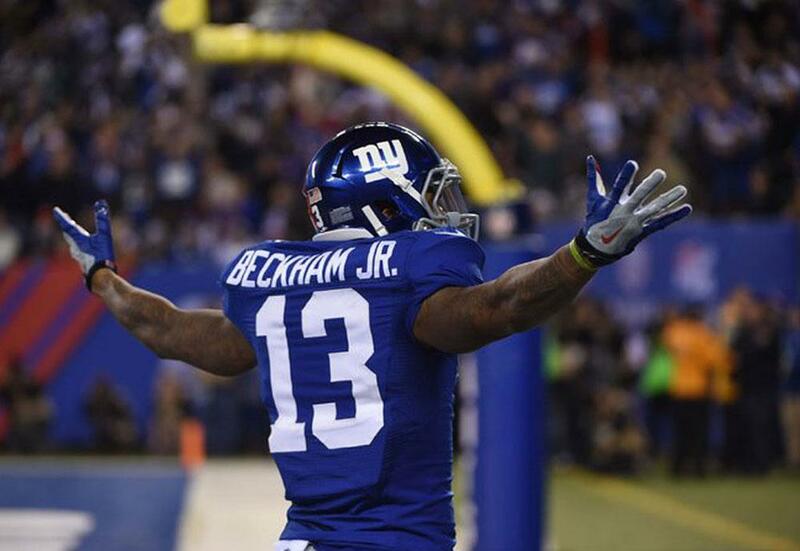 Heading into the season, the online sportsbook also had a +1000 line that Beckham Jr. would lead the league in receiving yards in 2016, another bet you’ll want to mull over. The return of the best salsa dancer in the NFL — Victor Cruz — has also boosted the Giants’ passing game. Cruz missed the entire 2015-16 campaign with serious knee and calf injuries, but hasn’t showed signs of rust thus far. With the Green Bay Packers, Arizona Cardinals, Seattle Seahawks and Carolina Panthers all faltering in the early stages of the season, the NFC is definitely wide open. That leaves the door open for the Giants, who very well could come out as NFC champions when all is said and done. According to Bovada, Green Bay is still the favorite, at +400, to represent the NFC in the Super Bowl. Write the Giants, who are pegged +1400 to win the NFC championship, off at your own peril. Manning has taken the Giants from a Wild Card team to Super Bowl champion in the past and it isn’t farfetched — even at this stage of the quarterback’s career — to say he could repeat that same improbable feat. The top four Super Bowl favorites haven’t changed too much — with New England still at the top at +350 according to Bet365. However, various online sportsbooks have mixed lines for the Giants. While Bet365 has New York pegged at +3300, BetOnline gives the G-Men +2000 odds to win their third Super Bowl title in eight years. It’s going to be a good year for the Giants, who will be making a return to the postseason for the first time since 2012. You can bet on it! 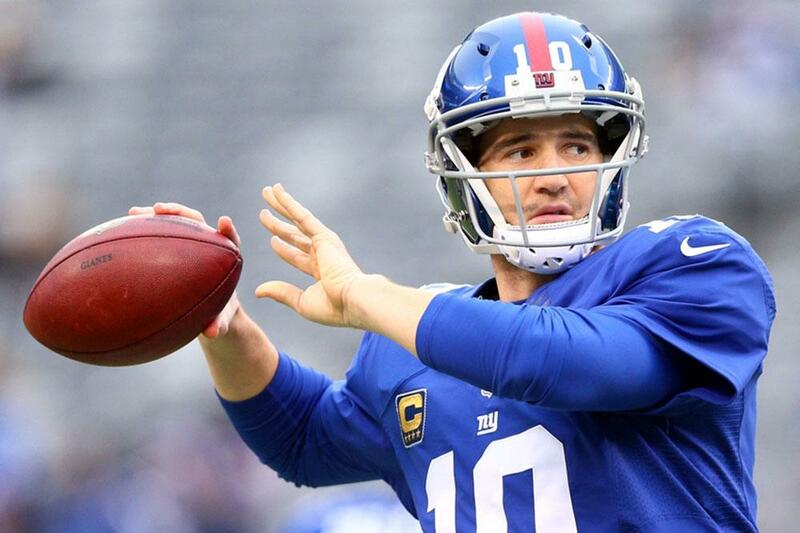 Take a look at who the Giants play next, analyse their schedule and heed some free betting tips so you can make the most money from your Giants wagers.